Over the last few weeks I have been gripped by the ICC World Twenty20 tournament in Bangladesh. Being a big England cricket fan, it has been upsetting watching their demise not only in Australia, but in Bangladesh as well. One of the biggest stories to come out of this competition is the loss England suffered against the minnows of the Netherlands. The lesson to be learnt from this in particular is never under-estimate the competition, regardless of how big or small they are. Without doing the necessary research on the competition, there is a chance that they can emerge stronger than you. It is all well and good staying on par with the big guns but it is also best to keep an eye on the underdogs as they can easily punish you when you have a bad day. There have been times across the tournament where the wrong bowlers have been bowling at the wrong time, or where a batsman has been placed wrongly in the order. An example of this is Jade Dernbach, a bowler with a high economy and an erratic style, bowling towards the end of an innings. The lesson that can be learnt from this is to play your team members to their strengths. Assess where your team is best positioned and act accordingly otherwise this will lead to a disorientated and disorganised team. You have to look at the preparation going into the tournament and question its suitability. I accept that West Indies are champions and it would be a test before the tournament, however the conditions in the West Indies and the conditions in Bangladesh are massively different. You could see England were not used to it by the amount of fielding mistakes made during the tournament. They were not used to the wet ball and, with the England team playing every game in Chittagong which is notorious for its dewy conditions, they should have prepared better so they could have put it into practise on the field. Training, practice and preparation is absolutely essential, regardless of what field you are in. Looking at the England team, there was rarely an occasion where somebody lead from the front. There are other teams where certain captains have lead from the front to secure victory for their teams. For instance AB De Villiers smashed England around the park in the first innings with the bat and then was vocal, encouraging and prominent in the second innings to ensure victory was theirs. Darren Sammy of the West Indies has come in for the batting side and won the game on more than one occasion with the bar when his side have looked completely out of it. Other members of the team react when they see their manager or captain leading from the front and being highly motivational. Stuart Broad and Ashley Giles as well as other leading members of the England coaching staff at times looked dejected where the game was not totally out of reach; I think I know who I would rather be led by. You can look at England’s demise from a recruitment perspective. Is Ashley Giles the right man for the job? Does he have the appropriate coaching/managerial experience to cope with such a task? Did the selectors make the wrong decisions bringing in and excluding certain players from the squad like Kevin Pietersen? Are you overworking your team? There are some players who have played pretty much non-stop for England during the previous twelve months. If they are purely concentrating on work and have little to no time with their families then this has a detrimental effect. I accept that these players are paid well and yes they get to travel the world with their job as well as other benefits, but with the hectic fixture schedule and the amount of time the players spend away from their loved ones, this will have a negative effect psychologically. Try not to inflict this on your employees otherwise it will have the same effect; do not overwork them and allow them to have some ‘down time’. 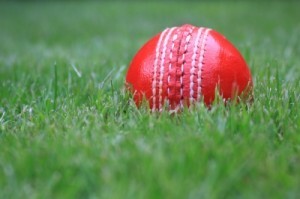 From a bowling, batting and fielding perspective England did not stick to the basics: slower ball Yorkers gone wrong were being hit for six; we were being dismissed for playing improvised shots where a more simple shot would have sufficed and run out and catching opportunities were not taken. I am not saying stifle creativity, however get the basic elements correct first before trying to be over elaborate. Don’t make the same mistakes England have made over the previous months, take into consideration their errors and prevent the same kind of collapse in your workplace similar to that of England’s batting line up!